Is your planner full of holiday parties and get-togethers with your friends? When your weeks suddenly become so hectic it can be hard to stay healthy and maintain your exercise routine. But skipping those workouts and indulging in extra holiday treats can cause a lot of negative consequences. Aside from the obvious, like gaining weight and feeling sluggish, it can also be harder to cure a holiday hangover. Luckily, there are a few tricks you can follow, so you can enjoy those parties without spending the entire next morning with nausea and a headache. Do you want to know what they are? Keep reading to learn our guide for staying healthy and avoiding that hangover this holiday season. It's no secret that staying hydrated is the key to maintaining a healthy lifestyle. Water benefits every part of your body, from keeping your skin elastic to helping your muscles work better. So, it should come as no surprise that drinking water will help you stay healthy this holiday season. The problem? When you're so busy decorating, shopping, and attending events, staying hydrated may slip your mind. If you don't drink enough throughout the day, you may find yourself battling off hangover and dehydration symptoms after a night of partying. Getting a reusable water bottle is the best way to ensure you stay on track with water consumption. It's easy to grab on your way out the door, so you always have a nice water supply wherever you go. Did you follow all the above steps and still end up with a hangover? Luckily, there are a few things you can do the morning after to feel better faster. 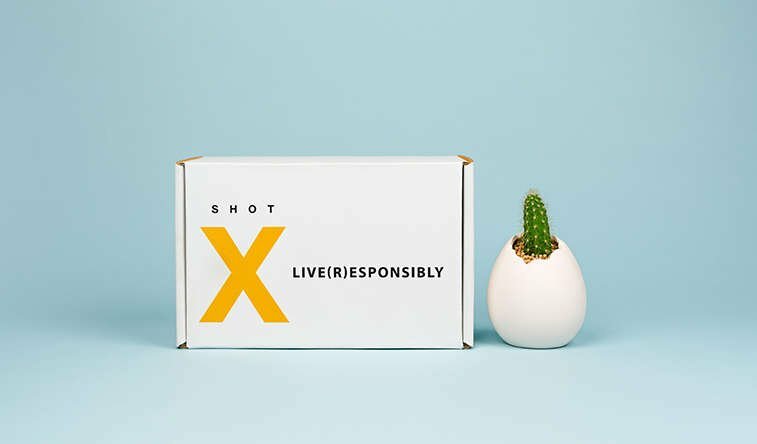 Shot X is made with a unique combination of turmeric, electrolytes, inositol, and amino acids. It's a liver supplement that can help you feel energized and remove classic hangover symptoms. While you don't have to take it until the morning after your night out, it is only available online. So, make sure you order it ahead of time, so you have it on hand before your holiday parties. Do you have a holiday party tonight? You may find yourself thinking that you'll get off work, exercise, then get ready for the party. But this isn't the best idea. Your body takes quite a while to rehydrate after a good workout--even if you don't feel thirsty anymore. This means that exercising two or three hours before you drink will leave you vulnerable to that nasty hangover and dehydration combination the next morning. Instead, exercise in the morning and drink plenty of water throughout the day. The holidays may not be a great time to start that low-carb diet you've been researching (hello, Christmas cookies!). However, a low-carb dinner before a night out is a great way to avoid a hangover and enjoy a healthy meal. When you eat a carb-filled meal, your liver will be focused on regulating your blood glucose levels. Then, when you begin to drink, your liver will be split between regulating blood glucose levels and clearing your body of alcohol. Instead, eating a wholesome meal, like fish or steak, will allow your liver to focus on clearing out the alcohol. The more effective your liver works throughout the night, the better you'll feel in the morning. So you decided to skip that potato side to cut your carbs. What should you have instead? While any vegetable is a great go-to, research shows that asparagus is your best bet. The blend of minerals and amino acids found in asparagus can lessen hangovers and even protect your liver against toxins. Asparagus leaves were found to have much higher levels of these necessary minerals and amino acids than the shoots. So, if you're not a huge asparagus fan, focus on taking one big bite out of the tip to get the maximum benefits. Of course, asparagus also has many other benefits to keep you healthy, such as lowering blood pressure, improving digestive health, and providing antioxidants. Alright, so you exercised in the morning, drank water all day, and ate fish with asparagus for dinner. You're done preparing, right? Well, not quite. What you drink at your holiday party can have a huge impact on how you feel the next morning. Congeners are byproducts of the fermentation process and are found in varying levels in different alcoholic beverages. Hangovers can be worse when having drinks with higher levels of congeners. Red wine and dark liquor, such as brandy and whiskey, are among the drinks with the highest levels of congeners. So, if you want to avoid a hangover, skip these and have white wine or clear liquor, such as vodka, instead. Of course, no matter what you choose, drinking in moderation is the best way to ensure you stay healthy and hangover-free. It seems like everyone has their own idea of what the perfect hangover breakfast is. Some say a slice of dry toast is best to avoid upsetting your stomach even more, while others believe a full breakfast of eggs and greasy bacon is the best way to soak up any remaining alcohol. In reality, a slice or two of avocado toast with lemon zest is probably your best bet. Avocados are rich in monounsaturated fat. This increases the hormone, adiponectin, which regulates blood sugar levels. Since alcohol can throw off your blood sugar levels, eating avocado is a great way to get your body back on the right track. Lemon zest can help detoxify your body and remove any remaining alcohol. Plus, it's a light and healthy breakfast that won't upset your stomach any more than it already is. If your calendar is full of parties in the next few months, you may be worried about how you'll remain healthy and hangover-free. Just follow our guide to stay proactive and avoid that holiday hangover. Do you want to learn more about Shot X? Visit our website to learn exactly how it works and how it can help you beat your next hangover.